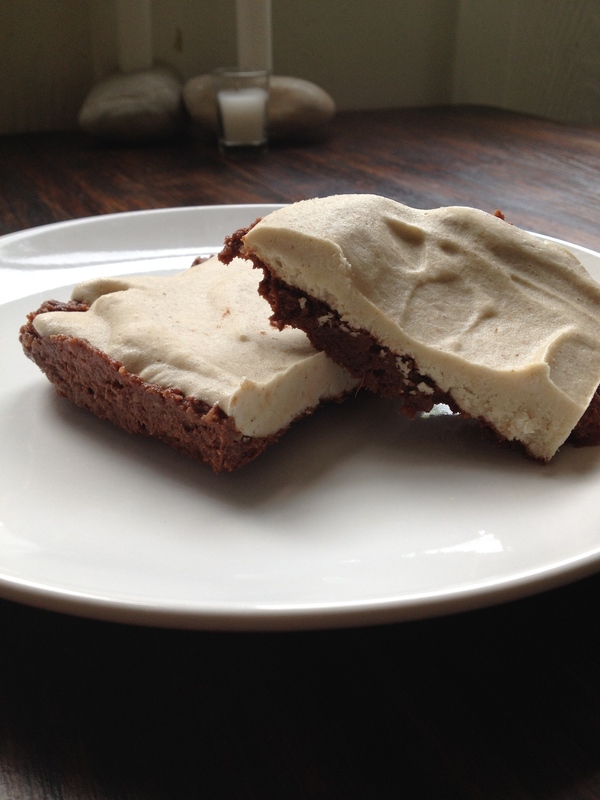 Raw, Vegan Fudge Brownies With Cashew Cream Frosting!! I’ve recently been trolling the raw cooking youtube channels and came across this dessert. One thing that I love about raw desserts is that they are most likely gluten free, and quick/easy because there’s no baking involved! The brownie dough tastes like real brownie dough. I was shocked! And those medjool dates are a game changer when it comes to raw desserts. I am so surprised how sweet they are. They are like a treat all alone. P.S. I bought my cacao powder here. It’s the best deal that I’ve found and you can add it to smoothies as well as using it for baking/raw dessert making. I haven’t posted in over a week! Sorry everyone. We have been traveling for the last two weeks, in and out of town, and then I had my b-day yesterday so that kept me occupied. 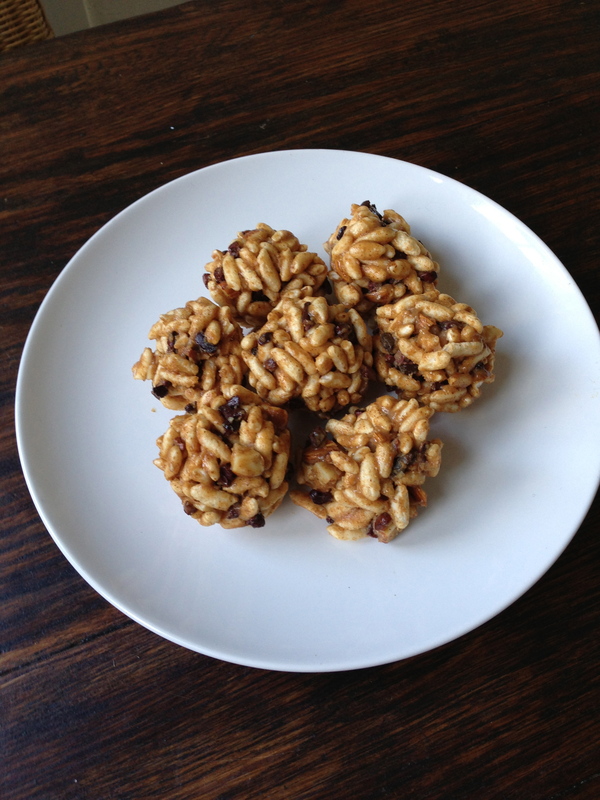 Today I’m kicking off the week with a sweet treat that’s easy to make at home, gluten free, and vegan. Matt has been obsessing over kettle corn lately and so he decided to make it tonight for the first time. It was delicious and I thought I’d share the recipe with you. 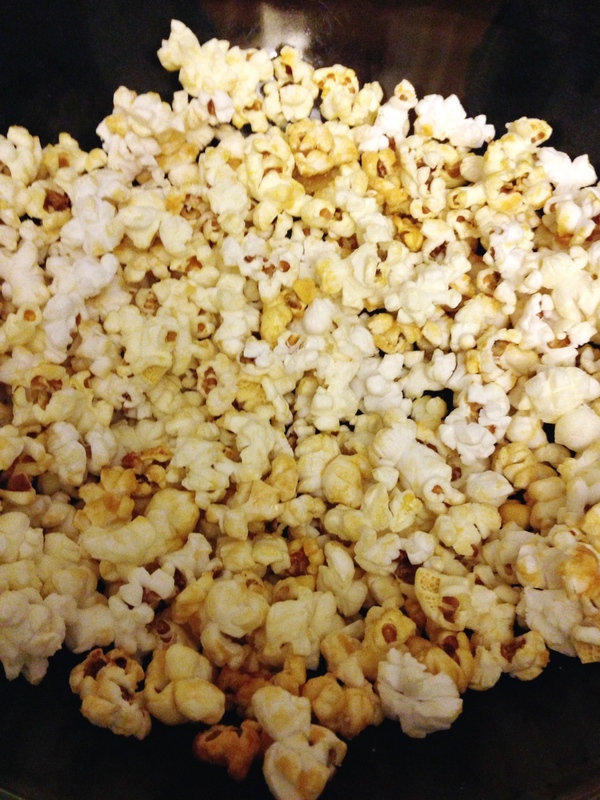 For a large bowl of kettle corn we used 1/2 a cup of (unpopped corn kernels). 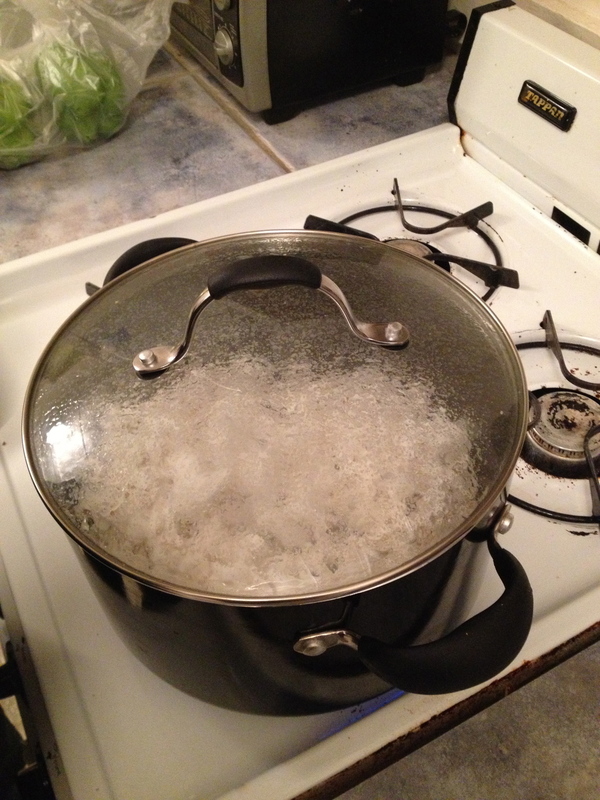 Popping your own corn over the stove is so much cheaper! you can get a bag of organic popcorn for 5$ which yields prop about 15 large bowls of popcorn (maybe more) compared to the bagged microwave popcorn which is typically 3 bowls/bags for the same price. This is the popcorn we bought. Here’s what you need. So I got the idea for this recipe from a youtube video by Tara Stiles which is pretty much identical to what we did except we had to add a bit of almond milk because we used a food processor instead of a vitamix. 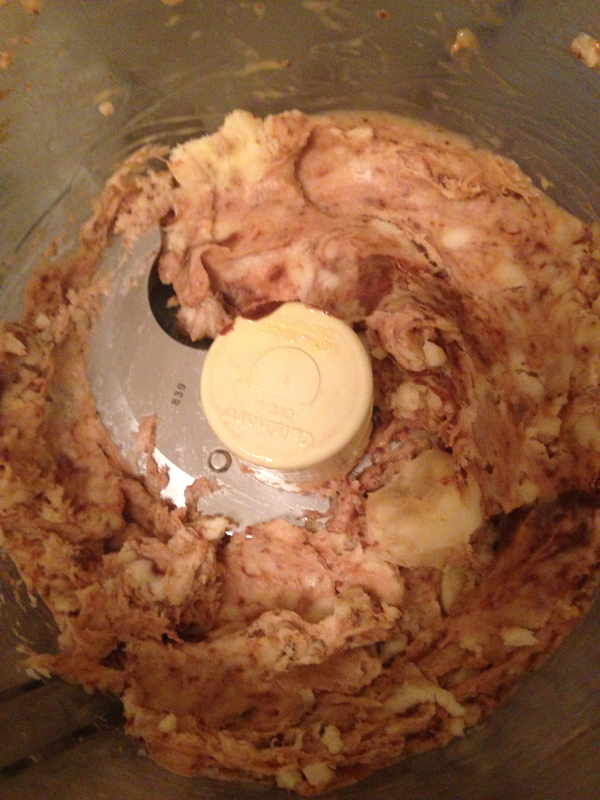 If you have a vitamix it’s probably best to use that but we made do with our Cuisinart food processor. Check out the video here to actually watch the process. Here’s how we did it. If you are using a vitamix you may not need any almond milk, we just needed to add it to give the food processor a little help. This is what the mixture will look like as you are blending it. Make sure to open the lid and push everything down a few times in between blending so the blade can catch it all. Peel and then freeze the bananas for at least 4 hours. 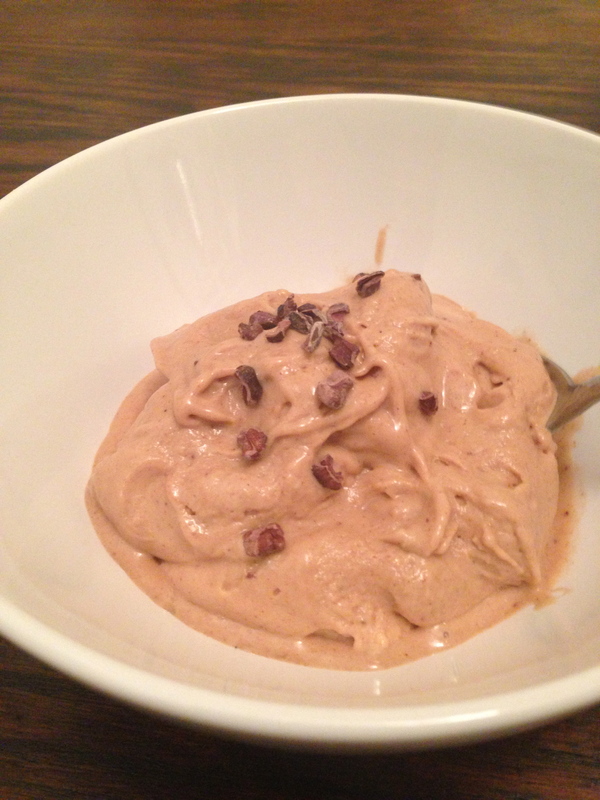 Add the frozen bananas to the food processor along with the spoonful of chocolate almond butter and pulse at first on low (if you are using a vitamix I believe there is a frozen dessert setting). If using a food processor add approx 3 tablespoons of almond milk and blend everything together. This will take some blending and then stirring in order to get everything smooth but it’s worth it and the process takes under 5 minutes…so it’s super quick. Hello everyone. As many of you already know Matt and I both love sweets. These little treats are vegan and gluten free. I got this recipe from here and adapted it only a bit. These little treats take about 5 minutes to make and then you keep them in your freezer for those moments when your sweet tooth needs a little hit. Here’s how I made them. Place the almond butter, honey and vanilla in a bowl and stir. Add the cacao nibs, chopped almonds and puffed brown rice and stir. Then, place a piece of waxed paper on a plate that you can place into the freezer and wet your hands. For some reason the sticky mixture won’t stick to wet hands so once your hands are wet you can roll the mixture into little balls, place on waxed paper and then put in the freezer for 5-10 minutes before devouring. You should store these in a freezer in a sealed container. The first time I had made these I put the bowl of almond butter, honey and vanilla into the microwave for 30 seconds and when I added the dark chocolate it melted into it. It was sooo good. The cacao nibs make it a little healthier and give the balls a nice crunch but if you really want these to be dessert-like, use dark chocolate, or mini chocolate chips. 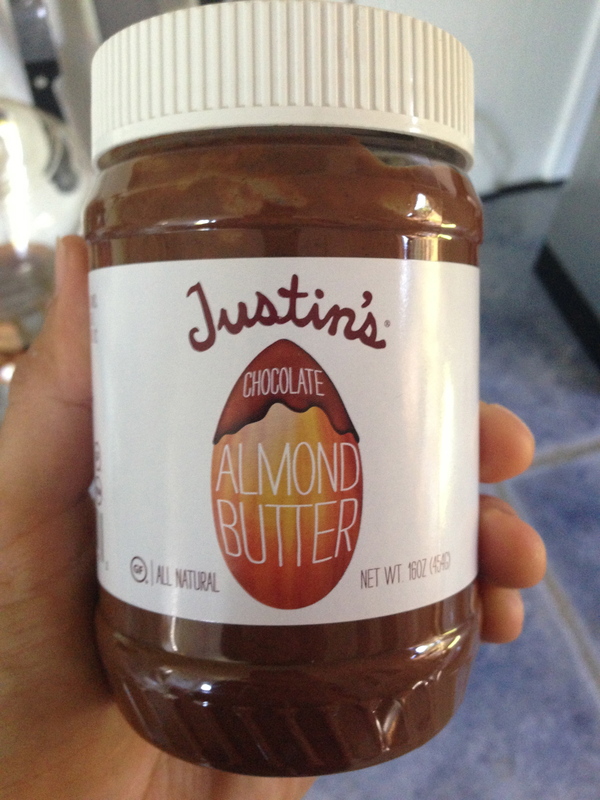 If you want them to be even more delicious, warm the almond butter mixture first so the chocolate melts into it. Mmmm.